Goleta? 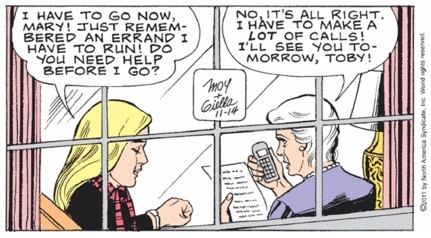 That explains why Mary said, "ANOTHER" missing child in yesterday's strip. Here's a story about a child that went tragically missing from Goleta 50 years ago. 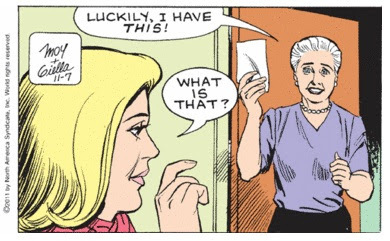 Recent memory for Mary Worth. 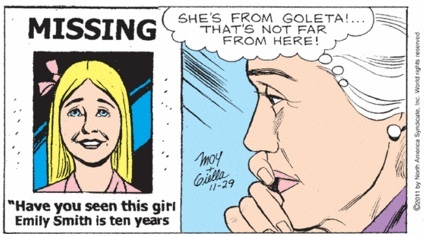 And, yes, duh, I know Goleta didn't exist 50 years ago. Who doesn't know that? My stars! What is Santa Royale coming to? First pickpockets, and now kidnappers? Just one note: Has anyone else noticed that the first picture for a new story is always the best drawn? Looks like they finished eating the cake. Or was it stolen? O, what disappointment. I thought Toby was saying "We have to be vigilanties." 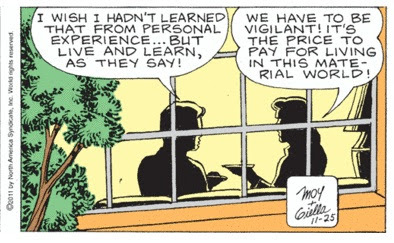 But then I realized you don't spell vigilante with an "i," or an exclamation point. 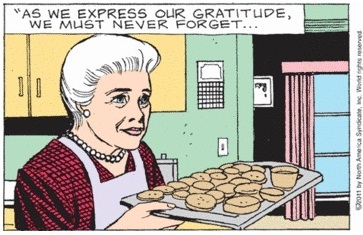 We must never forget... there will always be someone with a worse Thanksgiving dinner than you. I need some advice. I made a list of everything that's in my wallet, and somebody stole my list. I've got a feeling this is going to last forever. I am so reassured by Toby's words after what I've been through the last few days. First, let me apologize to all my loyal readers and to Karen Moy for yesterday's horrible post. My iPhone was stolen, and along with it, my identity! I left my iPhone sitting on top of my car while I went into the grocery store on Thursday afternoon. I thought it would be safe there. But when I came back, someone had stolen it! I was shocked. What is happening in this world? Fortunately, I had made a list of all my iPhone contacts - about 4,000. I called everyone on my list and told then that if they got a call from someone claiming to be me, that it wasn't really me, someone had stolen my identity! On Friday, I tried to sign onto my blog, but the password had been changed. I read the post that the new me had tried to write about Toby being so angry she was turning into the Incredible Hulk. It was a nice try, but not quite up to par. Then Saturday, no post. I thought that was okay, that's alright. The real me doesn't post every day, why should the fake me? But then, on Sunday, the fake me hit the breaking point, and posted his outburst. That was the clue the police needed. 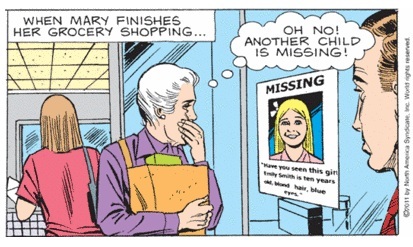 They found the thief, curled up in Barnes and Noble, lying on the comics section of the local paper, with 27 empty cups of Starbucks coffee strewn around him, weeping silently. He just couldn't take it, it turns out. 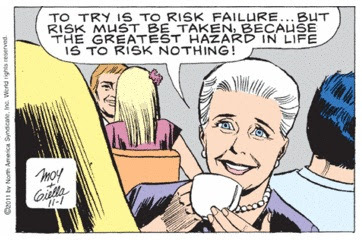 He wasn't cut out for anything as sophisticated as being me, nor could he handle the genius of Mary Worth. 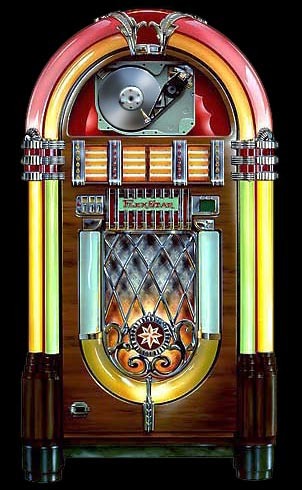 I want to give a very special thanks to the brilliant Karen Moy for helping me get my iPhone back. Your writing has taken down one more criminal. Is Karen Moy crazy? She treats us like morons. 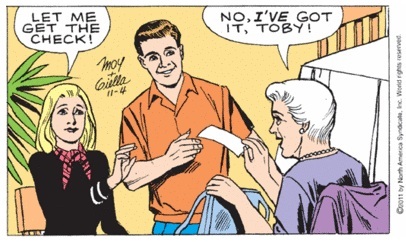 You people are idiots for reading this comic strip. How much pain can you take?? 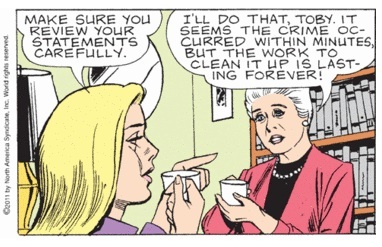 I must confess that my heart rate accelerated when I read panel one. 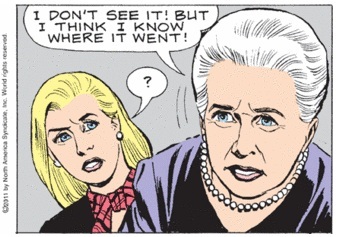 The evil gleam in Mary's eye could only mean one thing: VIGILANTE! Or a trip to the DMV. Either one. Toby closes her eyes whenever she tells lies to Mary. 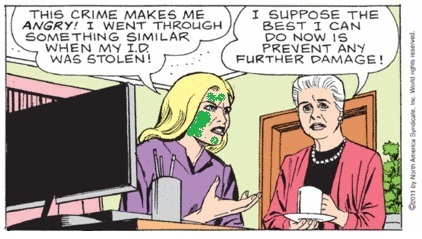 We have our first ever Mary Worth Copycat Crime! I hope the weight of her responsibility in this case doesn't discourage Karen Moy from pursuing more exciting crime stories. "Better Buy." Get it? It's word play on the popular retail chain "Good Buy." Sadly, "Good Buy" was run out of business by "Better Buy." And soon, "Better Buy" will close its doors when that well known retailer "Even Better Buy" comes to town. 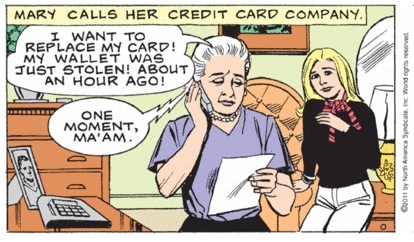 There's nothing I find more exciting than calling my credit card company. 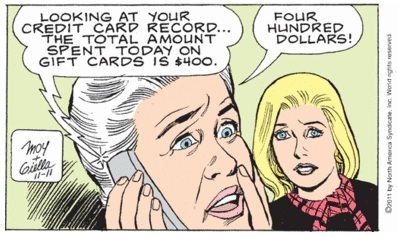 Well, maybe watching someone call their credit card company. Or reading a story about it. "It's my incantation for Substitutiary Locomotion. Treguna Mekoides Tracorum Satis Dee. With this, I'll be able to turn all the zoo animals into soccer players and they'll beat the living blazes out of the New York Blazes. 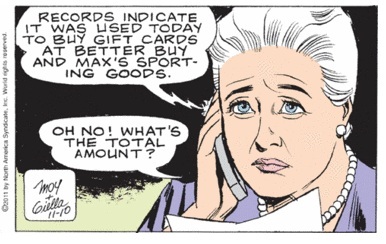 Gina is going to regret skipping town without so much as a thank you note." 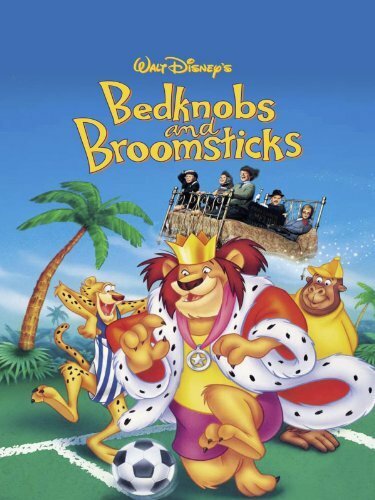 Bedknobs and Broomsticks. Anyone? No? Okay... When I post late at night, I get a little obscure, I guess. Speaking or witchcraft, for your viewing enjoyment, here's a link to the pilot episode of "Once Upon a Time." I've been watching this new series on ABC with my kids and we've been loving it. A lot. This is exactly the kind of publicity the Lemon Wedge doesn't need. 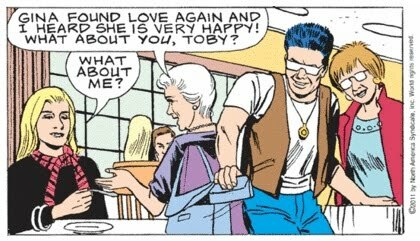 But thank heaven Toby is such an expert on personal security. She'll be a great help to Mary during this time of crisis. But how did Mary know who it was? It was obvious: They were rude, and looked like criminals. 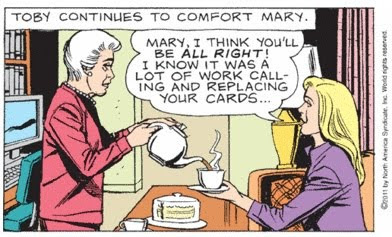 That's all the evidence Mary needs. I think faithful reader Birdie is right: Alison at Diner is in deep, deep trouble. And Alison has a motive. 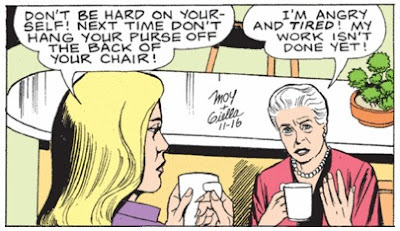 Mary always left her biggest tips for Gina, but only 12 percent to Alison. This restaurant seems to have more table trouble than others. Every day, from every angle, the tables are mean and menacing. 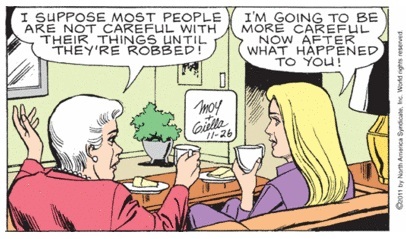 I am looking forward to Mary and Gina getting out of this House of Table Horrors. This looks like a job for Chin Napkin! 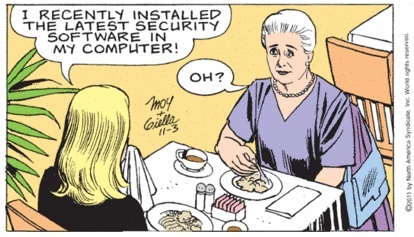 Fortunately, Chin Napkin has not been so bored by this conversation ("I've installed the latest security software. It was an automatic upgrade. I clicked on Approve.") 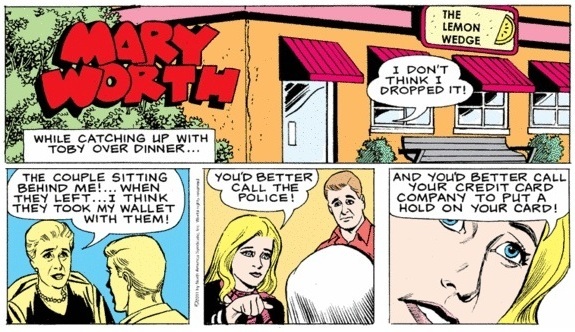 that he missed the two suspicious lowlifes passing unusually close to Mary Worth's purse on their way out of the restaurant. He also observed that they left only a 10 percent tip. Scum bags. Nice locket, dude. 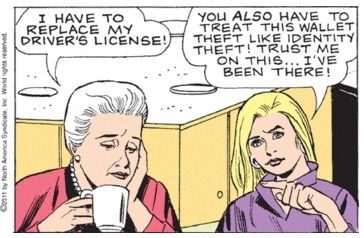 Did you get that from the last old lady you robbed? I thought this platitude was a bit awkward until I read it in context. I'll attribute it to William Arthur Ward if Karen Moy won't.